Bailey Ruth Raeburn has always been great at solving mysteries. Why should a little thing like her death change anything? In fact, being dead gives her more of an opportunity to be on top of events. 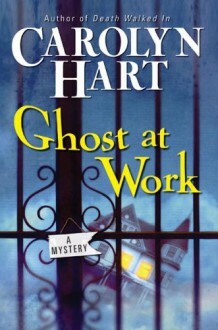 Bailey Ruth is delighted that her unique position as a ghost makes it possible for her to lend a helping hand, sometimes seen and sometimes not. And if anybody needs a little help, it's Kathleen, the pastor's wife. There's a dead man on her porch, and once the body is discovered, the pastor is sure to become a suspect. Uncharitable people might call it meddling, but Bailey Ruth knows Kathleen needs her help! As a member of Heaven's Department of Good Intentions, Bailey Ruth goes back to earth to extricate Kathleen from a dire situation. If Bailey Ruth has to bend a few rules to help Kathleen save her family, Wiggins, her fussbudget supervisor, will make sure it all turns out right in the end. So silly it became charming.